A well-loved statistic is that Zimbabwe has the highest literacy rate in Africa. It sits loftily at 97%. So proud are we of this that it’s spouted each and every election cycle season, and why not? It’s a success story. Zimbabwe has done a phenomenal job in terms of improving access to education for all. In 1980, the mean years of schooling were only 3.2 years. After independence more schools were constructed and the number of primary schools increased by around 89%, and Secondary school expansion was even greater with an increase of 754%. In 1987, the Education Act was passed which made education a human right and intended to make primary school free and compulsory. In Africa, Zimbabwe is doing great! In contrast with the rest of the world, however, Africa is lagging behind on education. The mean number of years spent at school by an adult Zimbabwean is 7 years, that same number is 13 for North America and 11 for Europe. 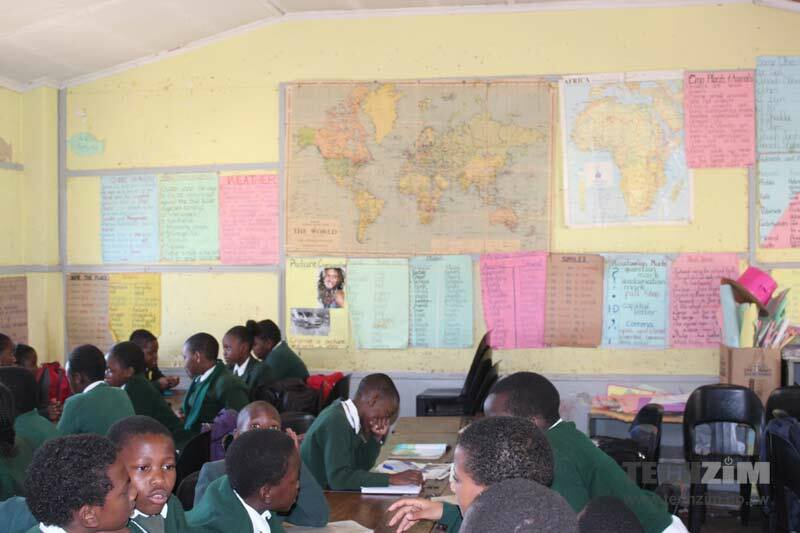 According to statistics, 22% of children who enrol in primary school in Zimbabwe drop out before Grade 7. Zimbabwe has high enrolment rates (at a staggering 88.46%) but low completion rates. Secondary school enrolment is rather low at 54.1%, and there are various reasons for this, the main being poverty. Many parents simply do not have sufficient money to pay for school. Free primary school education needs to be reintroduced. This should also extend to secondary school. ‘Who will pay for it?’ you might ask. I believe it can be done, but a change in priorities is needed. How much of the budget is allocated to education? The Ministry of Primary and Secondary Education was allocated 17% of the national budget, which incidentally is below the stipulated 20% of the Dakar Declaration, of which Zimbabwe is a signatory. The ministry received $905 million to education, however, 93% of that went to employment costs i.e. teachers’ salaries, leaving only 7% for all other costs. The majority of our state schools are in serious disrepair, with the most affected being in rural areas where there is inadequate or unsuitable infrastructure, shortage of material resources and facilities such as the unavailability of electricity, water and sanitation, lack of fully functional science laboratories, text books, furniture etc. Such conditions are not conducive for learning and push dropout rates. We still have hot-sitting in 2018! This is mostly found in high density areas where often the number of children of school going age does not tally with the available schools. More schools need to be constructed to adequately cater for the school going population. This model of learning is detrimental to students and it has been found that schools that don’t have hot-sitting have higher pass rates. Zimbabwe votes at the end of July and party manifestos are out. What is most surprising is that education barely gets a mention. ZANU-PF, for example, does not list education as a priority. I blame the “97%” statistic. This has led to complacency when it comes to building our education system. We still need an education system that works for everyone. To be literate means being able to accomplish basic reading, writing and numeracy. As a country we need to broaden our concept of literacy to incorporate skills required for the 21st century complex demands of knowledge economies such as digital literacy (ICT). Perhaps we can even further focus on some indicators used for rating education levels such as what percentage of our population has a tertiary education? I hope that one day Zimbabwe is rated as the best in education, not just in Africa but worldwide. Heavy investment is needed in our education system so we can be on par with our peers in developed nations. We must not allow a situation where children are left behind due to a lack of resources from the government failing to adequately fund schools and pay teachers competitive salaries as well as parents and guardians not getting financial assistance needed to invest in their children’s educational future. When people tout the 97% literacy rate over and over, I do not even crack a smile. Children are falling through the cracks at an alarming rate and that’s nothing to applaud.